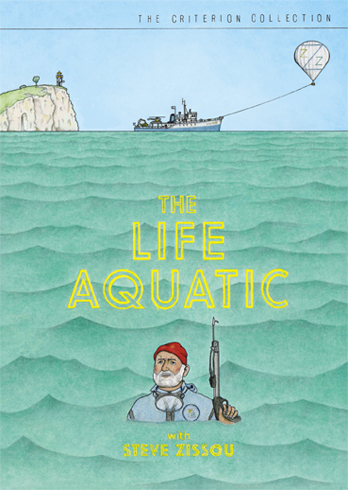 The Life Aquatic with Steve Zissou (2004) wasn’t made for you; it was made for me. I mean two things by this overly possessive and hyperbolic assertion: first, hardly anyone seems to appreciate the film. This is one of the great film-reception tragedies of the past decade—a perplexing case that may take a lifetime to redress. Second, the film altered the trajectory of my life. This is another hyperbole within the first one—a recursion of exaggerations—but it rings true as tidy autobiography. To wit: my first analysis of the film helped me earn admission to UCLA’s Cinema and Media Studies program, for which I am eternally grateful. From my abstract: Director Wes Anderson’s film The Life Aquatic with Steve Zissou (2004) appropriates the life and work of ocean explorer and documentary filmmaker Jacques-Yves Cousteau to fashion the story of an adventure filmmaker adrift in his life and art. In drawing on a real, external referent in Cousteau’s documentary legacy, Anderson’s reflexivity reaches out of its normally hermetic shell to dramatize – and problematize – the production and reception of the nature documentary. The Life Aquatic’s fiction can productively be read as a literal and metaphorical exploration of issues related to documentary as co-constituted by viewer consciousness, and as a commentary on our own expectations and desires in looking at animals through nature documentary. A special thank you to editor Warren Buckland for publishing the article, and to Michelle, my personal editor (without whom life would be a bad movie).